Do you know someone contributing to the quality of life of people with disability in the City of Maribyrnong? Nominate them for a MIRA! Seen a sexist ad lately? Want to report it? In their annual extravaganza the Quippings: DISABILITY UNLEASHED! troupe will be opening 'Criptopia'- the worlds we want and dream of. The show is a celebration of all things disabled; an adventure to see the world as a Criptopian Paradise. A mix of song, dance, comedy and slam poetry – the show is wall to wall entertainment AND directed by and features guest comedian Sue Ann Post. WDV are proud to have some of our members in the show. LISTEN Conference 2016: Feminist Futures is a three day feminist music conference featuring keynote presentations, panel discussions, workshops and live performances. Writer and feminist activist Clementine Ford and performer and activist Alok Vaid-Menon of Darkmatter (USA) will serve as keynotes. The venue is the Bella Union - check for accessibility. Women's Health Goulburn North East is holding it's Annual General Meeting in Wangaratta featuring local MP, Cathy McGowan. Cathy will share her take on the importance of respect. Drinks start at 5pm on September 26th, and formalities kick off at 5:30. Register for WHGNE's AGM. Mary Luckhurst’s Comedy Lab is partnering with comic Nelly Thomas, Women with Disabilities Victoria and the Melbourne International Comedy Festival on a project to encourage comedy writing and stand-up comedy. You will learn the basics of joke writing, joke telling and comic delivery. 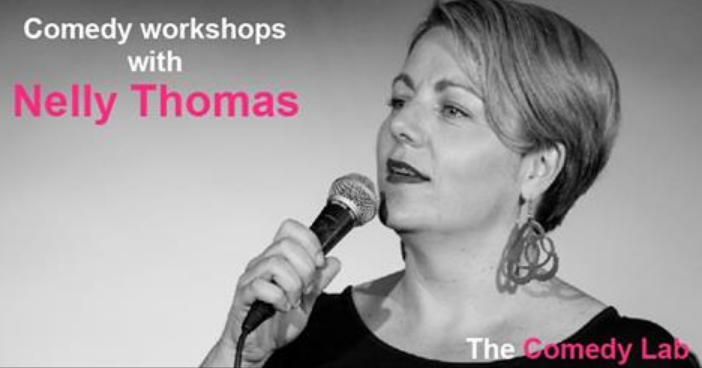 You will work with one of Melbourne’s most loved and right-on comediennes, Nelly Thomas, and have an opportunity to perform at a live event. This project honours the work of the late and great Stella Young, an extraordinary activist, writer and comedian. Workshops are free but you will need to attend all 5 sessions. Dates are: 30 October,6 November,13 November, 20 November and 27 November Sundays from 2-4pm. Register by 21 October to secure your spot. Contact Jen Rae: jen.rae@unimelb.edu.au or 0406 511 707. Leadership Victoria is offering a scholarship in one of Australia's most sought-after leadership development experiences. The acclaimed Williamson Community Leadership Program (WCLP) provides a year of leadership–focused activities, designed to develop and connect leaders across sectors, backgrounds and generations. Visit the Leadership Victoria website to learn more. The Future Social Service Institute is offering 2 PhD scholarships studying consumer directed care, the introduction of the NDIS and the increased marketisation of human services. The overarching aim of the Scholarships is to generate new research for the benefit of the community services sector and the people who use their services. Learn more at the FSSI website. The Victorian Government is promoting a vacancy as Chairperson for the Victorian Disability Advisory Council. See the Government noticeboard for details. OPA is advertising for two Investigations Support Officers. Applications close September 18th. Please email this consultation email address. The City of Melbourne is pleased to announce the release of a new Guide to Reporting Sexist Advertising. The Guide to Reporting Sexist Advertising is to help people navigate the process for raising a formal complaint. It also provides links to the existing online advocacy tools. It aims to encourage community members to play an active role in challenging the culture of violence against women. Studies have shown that repeatedly showing images of women as victims or sexualised objects can shape people’s values and attitudes, and create acceptance of these ideas as normal. That's why advertising companies and media organisations have a responsibility to avoid using imagery that's sexist, exploitative or overly violent – and they're bound to that responsibility by their own code of ethics and by state law. City of Melbourne along with members of the Melbourne Preventing Violence Against Women Coordination Committee wanted to contribute to improving the portrayal of women in media and advertising, and to increase the reporting of sexist and discriminatory advertising. This video is a cartoon which shows why interpreters are important in a health setting and how to book them. The Age reports, "Before, when she wanted to dye her hair, go to movies, or get a massage, Beth was told she couldn't afford it, that she didn't have money, she says. The Financial Ombudsman has ordered the Commonwealth Bank to pay back more than $84,000 to the 28-year-old, after it allowed her mother to regularly withdraw money, over nine years, from her daughter's account." Read the full article. With NDIS rollout our institutions should be particularly aware of the risks of families economically abusing people with disabilities.